We are actively recruiting for a Senior Financial Analyst. Company profile: Large, employee-centric organization that operates in a mix of hospitality, real-estate, and logistics. With plans to continue their growth efforts over the next few years, this company is already located in upwards of 33 states across the country and calls downtown Hartford it’ s home. This “ people-first” company is ideal for someone that thrives in a fast-paced, high volume, detail oriented environment. Position Profile: The successful candidate will not only possess the technical know-how but will also possess the right mindset and mentality. Meaning, they are someone that is passionate. Someone that comes into work every day with an intent and purpose. They are someone that lifts others up around them and genuinely wants them to succeed. Summary: If you feel that you meet all of the technical requirements AND you want to be a part of a truly people-first, large and growing organization, then we want to hear from you! Submit your resume and application to get started. Tyler Losure is an Executive Recruiter with our Accounting and Finance Group. Tyler focuses on direct hire placements across all industries, and he is responsible for representing top professionals at all levels of their accounting and finance careers. 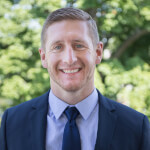 Prior to joining J.Morrissey, Tyler worked as the Strategic Relations Coordinator at the Connecticut Society of Certified Public Accountants. There, he worked to educate and motivate college accounting majors to not only pursue accounting as a career choice but to take it a step further and complete the CPA process. Additionally, he facilitated the Societies business development efforts, acquiring and securing sponsors, vendors, and advertisers for various events and publications. Tyler also coordinated the CTCPA’s Fairfield County Young Professionals group as well as orchestrated the “Accounting Is My Major (AIM)” conferences for aspiring high school juniors and seniors. Tyler is a current Leadership Board Member of the American Lung Association’s Northeast Chapter; actively involved with HYPE, a member of the Bushnell Young Professionals Group, and a member of the University of Hartford Rugby Alumni Association. Tyler obtained his Masters of Arts & Science in Communications from the University of Hartford, where he also completed his bachelor’s degree in Communications.